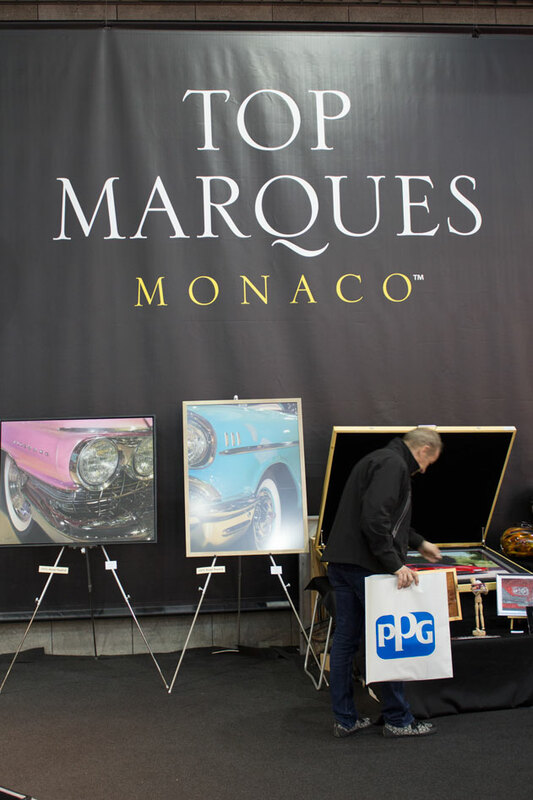 Under the high patronage of his serene highness prince Albert II of Monaco, the 12th edition of Top Marques took place at the Grimaldi Forum from 16th to 19th April 2015. 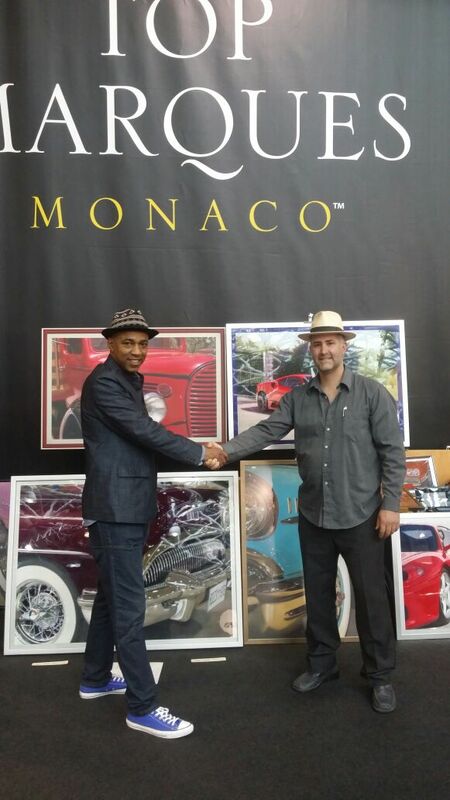 I would like to thank TV presenter Noel Edmonds and Trevor Gabriel for giving me the privilege to exhibit my artwork next to their elegant car “La Riviera” which celebrates the style and grace of the pioneering sports car era of the 1930`s. This prestigious event – billed as the ‘ultimate luxury car show’ by Bloomberg – was viewed by an estimated 25 million after being televised by all the major TV networks, and broke all records when it welcomed more than 42,000 visitors over the four days. 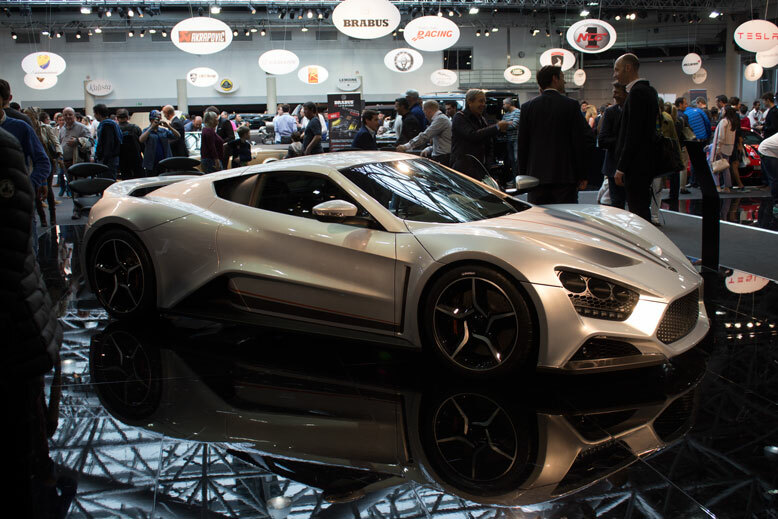 One of the features of this annual show is that guests can test-drive a selection of supercars around the streets of Monaco, including sections of the Formula 1 track. Police even hold back traffic in the famous Monaco tunnel so the cars can get a clear run at speed. To top it all off, it was an honour to have met one of the members from the famous band Kool and the Gang. Please remember as you read through my blog, you can enlarge any of the pictures by clicking on them. To receive FREE updates for future exhibitions and new projects Join here.